Orders can only be made online for delivery to an address in mainland UK. 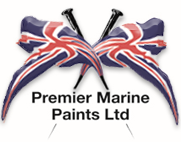 For delivery outside of mainland UK, please telephone +44(0)1884 220 016. The delivery charge will be calculated at checkout based on the value of your order. Please note: our carriers will only leave goods when signed for if you think you may not be available to receive your goods please email us so we may make a note on the delivery.